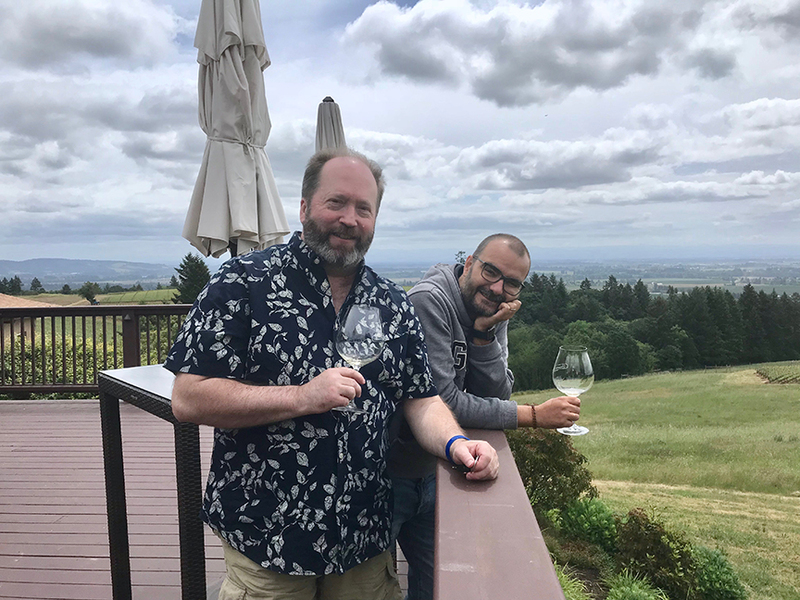 Above: wine writer Michael Alberty (left), Oregon editor of the 2019 Slow Wine Guide to the Wines of California and Oregon, and Slow Wine editor-in-chief Giancarlo Gariglio. Click here for Slow Wine Guide 2019 Tour Dates. Click here to follow the guide online. 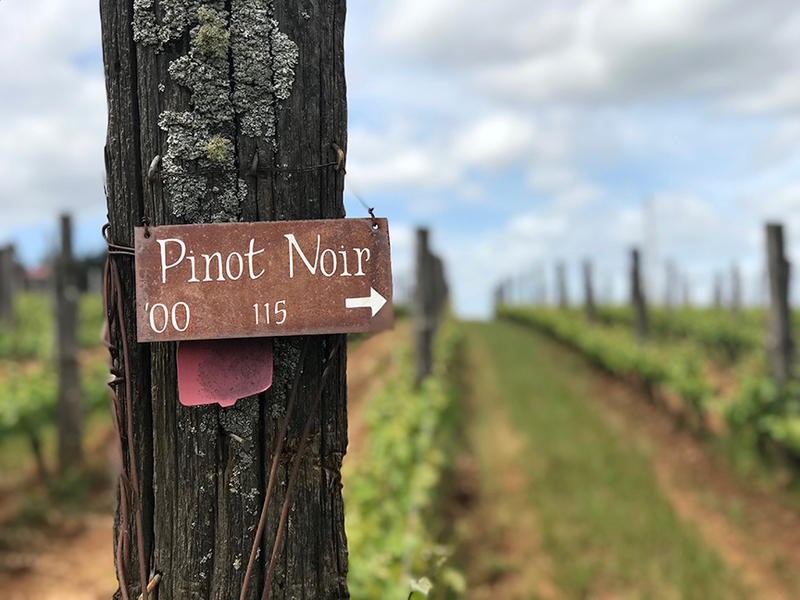 With more than 50 estates added to this year’s California guide and 50 estates appearing in the debut edition of the Oregon guide, the 2019 Slow Wine guide covers more ground than ever before. And the entire guide will be published online this year (free access). My colleagues in Italy have already begun to publish this year’s winery profiles here. The following is my introduction to the new edition, including notes on our team of editors and contributors. The Slow Wine Guide to the Wines of California and Oregon 2019 is the fruit of a team of highly talented and dedicated tasters, wine writers, and editors. Without their “boots on the ground” during the summer and fall of 2018, the greatly expanded book simply wouldn’t have been possible. And its spirit is infused by their passion and devotion to their work. Thanks to their efforts, the number of California wineries in this year’s guide has expanded greatly and is nearly double with respect to last year’s. And for the first time, we are publishing profiles of 50 Oregon wineries. From the outset, our editor-in-chief Giancarlo Gariglio never intended the guides, whether for California or Oregon, to be perceived as “exhaustive” or “comprehensive.” In fact, the project will only continue to grow and evolve over the years. And we are really pleased with the results of this year’s survey of the Californian viticultural landscape, with more than 50 new wineries added. Our Oregon team, guided by the leading expert on Oregon wine today, Michael Alberty, debuts with 50 estates. It’s our hope and goal to expand that number with the 2020 edition as well. With decades of experience in fine wine writing and solid roots in the Oregon wine community, Michael was the natural choice to lead our Oregon panel of tasters. From the Willamette Valley tour he organized for Giancarlo, to the panel tasting he put together and the team of field contributors he assembled, he’s made the inaugural Oregon guide a unique and benchmark entry in the state’s wine media coverage. His profound knowledge of Oregon wine country is difficult to rival and it was wonderful — and wonderful fun — to watch him dive into the project with his signature verve and gusto. His groovy energy was reflected in the winemakers’ embrace of our undertaking. Thanks for your kind words, Jeremy. Thrilled to see the 2019 guide online. Cheers!